The David Occhino Design studio is offering a free Wood Inlay Photoshop Tutorial. The step-by-step tutorial features two recent font releases, Craftsmen and Craftsmen Ornaments by artist David Occhino. However, use of these fonts is not required and artists are encouraged to use their own designs. Graphic artists with intermediate experience in Adobe Photoshop can use the wood inlay tutorial to create images which simulate the look of a handmade wood inlay design. 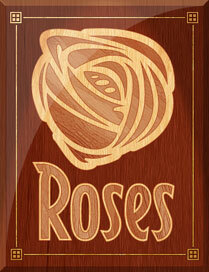 The Wood Inlay Photoshop Tutorial is available on the David Occhino Design website.